Cloud-based computing is growing in popularity as businesses realize the true benefits of moving in this direction. Not only are you unlikely to feel upgrade pinches as deeply with cloud-based software, but you can also allow your workforce and customers to have the mobility that they need to work when they’re able to, and from any location with Internet access. Finally, disaster recovery becomes much more reasonably-priced and functional when you add in cloud backups or hybrid cloud functionality for quick access to local files and secure redundancies offsite. 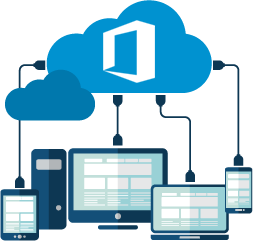 Moving from a per-user seat license to Microsoft Office 365 provides a level of flexibility that users didn’t have with a named user license. Instead, the cloud-based version of the popular productivity software offers each user the ability to install their software on several different desktop PCs, mobile tablets and even phones – which can vastly improve their ability to work in non-traditional locations and times. File storage and backup is an ongoing tug-of-war between users and IT departments, but cloud-based backups and disaster recovery protocols can help solve some of that dilemma. Cloud-based backups provide the peace of mind that business owners and users alike will appreciate because even in the event of a catastrophic accident such as a fire or flood, information and system configurations are safely stored offsite and can be recovered quickly from any locale. Having all of your storage on premise can cause some latency throughout the network, and bog down users who are simply trying to access the data that they need to do their jobs. 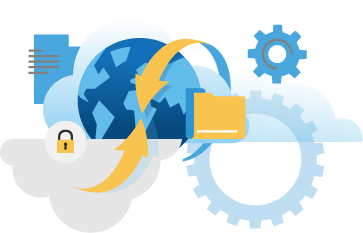 Microsoft Azure allows technology departments to build, deploy and manage applications through a global network of data centers, taking a great deal of the load off of local network users. Implementing enterprise-level email security, encryption and security solutions used to be a very costly proposition, but recent advances in cloud security solutions has made it much more cost-effective for small- and medium-sized businesses. 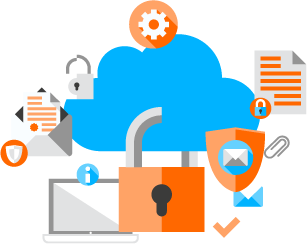 We partner with industry-leading security organizations to ensure that your critical business information is safe and secure and that viruses and malware are stopped before they can become a problem.